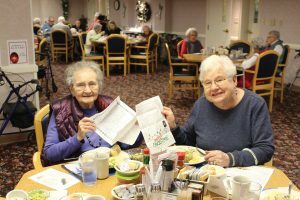 With the holiday weekend just around the corner, the residents at Cribbs were getting ready to have their noon meal when they were given a heartwarming surprise. They were about to receive envelopes containing pen pal letters from area grade schoolers. 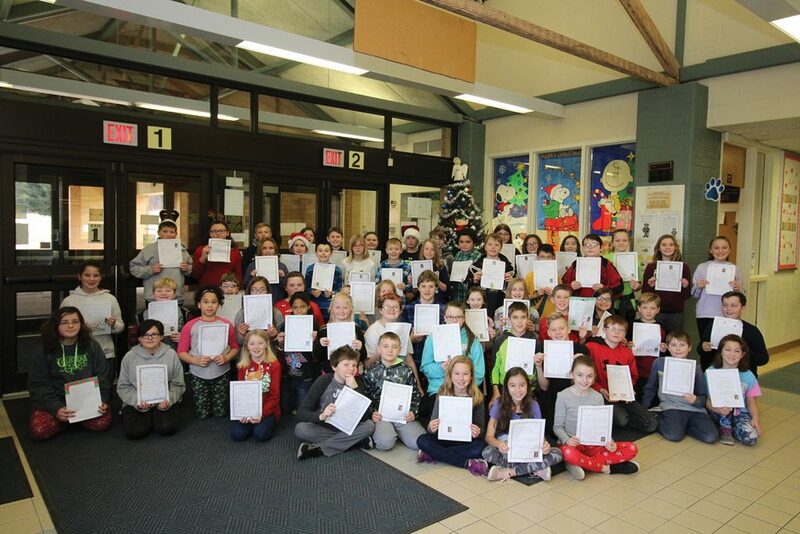 As it turned out, the fifth-grade students of Mrs. Columbus, Mrs. Mattera, Mrs. Wilkinson, and Mr. Askey at Saegertown Elementary School had been practicing their cursive writing skills and the idea was presented to write pen pal-style letters to the residents at Cribbs. The students were excited to share a bit about themselves and in turn, ask questions of the residents. Some colored the envelopes with holiday messages, while others included a small picture of themselves putting a face to the name with whom they would be corresponding. In total, 76 letters were delivered to Wesbury. The residents opened the letters right away and began reading. But, the biggest surprise came when resident Peg Acker received her envelope. As she was drawing from the stack of envelopes presented to her, she made mention of her granddaughter being a fifth-grade student at Saegertown. 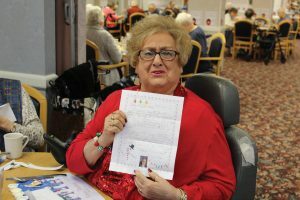 She lit up as she opened the random envelope to see that out of 76 letters, she actually had picked her own granddaughter’s pen pal letter. Peg had tears of joy in the true “what are the odds?” moment. Right away, a few of the residents said they would definitely write back. In fact, by the end of the day, eighteen letters were ready to go and twenty-six letters ended up being delivered to the students after Christmas break.